Oklahoma State Statutes provide that as part of the sentence or plea agreement, the Court can order the defendant to pay restitution to the victim of the crime. Restitution may only be ordered in cases where evidence is shown to the Court of actual expenses the victim has incurred because of the crime. Restitution cannot be ordered for pain and suffering or for expenses that can’t be documented. However, the judge in the case may order the restitution for up to three times the actual economic loss presented to the Court. This is usually done when the victim has continuing losses from the crime.� For example,�if the tools of a victim’s trade were stolen, the victim would not only be out the current value of the tools, but the difference between the cost of the used tools and brand new tools, and the loss of income from jobs the victim could not perform without the tools. The judge will consider all these factors when determining the actual amount of restitution to order. In addition, judges have an option to order interest to accrue on the restitution amount until it is paid in full. A victim presents evidence of loss to the Court by completing a Restitution Recovery Form and providing documentation (bills, insurance statements, pay stubs, etc.) that show the amount of the loss. The Restitution Recovery Form and documentation should be given to the prosecutor or the District Attorney’s Victim Witness Advocate prior to the sentencing date or the date of any plea agreement. If all or part of the victim’s expenses are paid through a state agency, (i.e.�Worker’s Compensation�or the�Crime Victim Compensation), the judge may decide to order the defendant to pay restitution to those agencies to reimburse them. How the restitution is collected and distributed varies depending on the county in which the crime was prosecuted and whether the crime was a misdemeanor or felony. Some counties collect all restitution in the District Attorney’s office; others collect restitution through the Department of Corrections or through a Probation and Parole Office. If the defendant must serve time in prison or jail, payment of restitution usually does not begin until the defendant is released on probation or parole. If you have questions about whether restitution was ordered in a criminal case or the status of the payment of the restitution, contact the District Attorney's Office. Restitution is not currently available in Oklahoma’s municipal (city) courts, but Federal cases (those prosecuted by U.S. 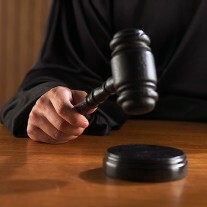 Attorneys) do have provisions for restitution. For a breakdown of statutes regarding restitution in Oklahoma District Courts, including statute citations, click here.